Have you heard of Marie Kondo? 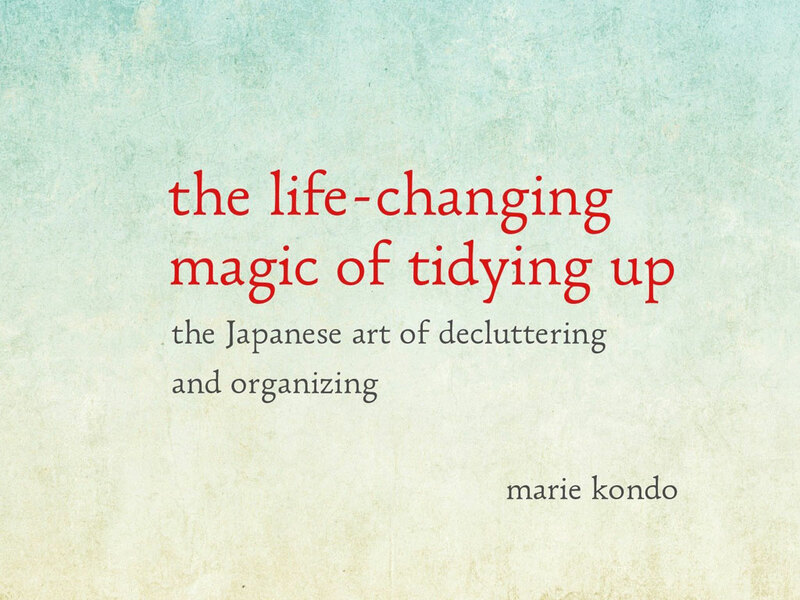 She’s known as the Japanese guru of tidiness and she’s written a few extremely popular books on organizing. She recently launched a show on Netflix which made her the talk of the town in the organizing industry. Having never read or watched anything of hers I decided to read her book “The Life-Changing Magic of Tidying Up” and would like to share the highlights with you. If you think her philosophies suit you I suggest you read this book and maybe her other book as well. Kondo writes “Effective tiding involves only two essential actions: discarding and deciding where to store things. Discarding must come first. She’s most well known for her belief that we shouldn’t own anything that doesn’t “spark Joy” in us. If we follow this rule we’ll reduce what we own by a third or even a quarter of what we started with. Kondo breaks the decision making process down as follows: “Human judgement can be divided into two broad types: intuitive and rational. When it comes to selecting what to get rid of, it’s actually our rational judgement that causes trouble. Although intuitively we know that an object has no attraction for us, our reason raises all kinds of arguments for not discarding it, such as I might need it later or it’s a waste to get rid of it”. She says to “consider each object with care and don’t be distracted by thoughts of being wasteful”. The “true magic of tidying” is that “once you learn to choose your belongings properly, you’ll be left only with the amount that fits perfectly in the space you currently own”. She says people “rebound” after getting organized because people think they have tidied thoroughly when in fact they’ve only sorted things half way. This is why she insists the entire house be tidied within 6 months. 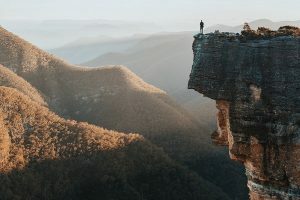 She insists her clients never “rebound” because as you reduce what you own you’ll come to the point where you suddenly know how much is just right for you. “You’ll know this is just the amount I need to live comfortably; this is all I need to be happy.” “The satisfaction that envelops your whole being is palpable”. She calls this the “just-right click point”. “Once you pass this point the amount you own never increases. After 15 years as a Professional Organizer I don’t believe in a one-size fits all approach; on the contrary I always preach how personal getting and being organized is so I was surprised at how adamant Kondo is that her philosophy suits everyone. She goes so far as to guarantee it in most cases. My experience with clients tells me that tidying, as Marie calls it, is an ongoing project that needs adjusting as life changes and that life events can cause us to own more than we need or want. What do you think? Kondo goes on to say she believes in only 2 ways of categorizing things: by type of item and by person. Each family member should have just one storage area and all their belongings must go in that one space. She believes once everyone has their own space they will keep it tidy. Always tidy by category not location, Kondo says. Take EVERY PIECE of your clothing from the entire house and put it on the floor in one room. Don’t leave one piece in a closet or drawer; if you do you must get rid of whatever you left in another place in the house. Why do this? Because she thinks the reason people don’t succeed at getting organized is because we have too much stuff. We have too much stuff because we don’t know what we really own; we store things of the same category throughout the house. We have to bring it all together to grasp how much we really own. Kondo says it’s critical that we tidy in the follow order: clothes first, then books, papers, miscellaneous items (toiletries, electronics, household supplies, kitchen items) and lastly mementos. Begin with things that are easy to make decisions about. We get stuck because we start with things that are hard to make decisions about like memorabilia. Clothing is easiest photos and memorabilia are hardest according to Kondo. Now hold each item in your hand and ask yourself if this item “sparks Joy”; if it doesn’t get rid of it. Follow this step for every category of things you own. When you decide to let go of something thank it for its service before putting it in the giveaway bag or trash. You may have heard the Konmari method states folding clothes is better than hanging them. Folding them properly means to fold them into rectangles and stand them up in a drawer. You should also never ball up socks. Kondo believes they should be rolled then stood on end in a drawer. She states socks take a “brutal beating” on your feet each day they are worn. While they are in your drawer they are on vacation. They need to rest, something they can’t do in a ball. Mementos are left for last because they are the hardest to toss. She says their importance to you changes with time. When a memento is no longer important to you thank each memento for “the joy they gave me at the time” before donating or tossing it. “By handling each sentimental item and deciding what to discard, you process your past.” When it comes to photos she insists you take every photo out of its album and look at them one by one. This is the only way to tell if a photo touches your heart. Marie ends the book by saying that if you follow her advice you won’t need to tidy for the rest of your life. The only thing you’ll need to do is choose what to keep and what to toss and care for what you have. She says “life begins after you have put your house in order”. In my humble opinion, Marie’s methods have a little too much foo foo in them for my taste. I just don’t believe my socks need to be folded properly so they can rest until I walk in them again. Nor do I believe I should run my hands over the contents of my drawers letting them know I care and look forward to wearing them in the future. She says “this kind of communication helps your clothes stay vibrant and keeps your relationship with them alive”. I do agree with some of her methods, like purging mementos last. I refer to it as building the decision making muscle. However, I don’t feel so strongly about the order in which you sort and purge. Clothing isn’t the easiest for everyone. I’ve had clients who have a harder time making decisions about clothing than anything else except memorabilia. Some who love to cook have trouble deciding on kitchen gadgets. I also completely agree with her about showing consideration for others by not forcing our belongings onto them. Ask family members if they want an item and accept no for an answer. In conclusion, I’d say the way you organize your home is a very personal thing so take what resonates with you from this book and leave the rest. As always, if you need help making your home into the peaceful place you’ve always wanted it to be reach out to me. I’m here to help.